+ catch their SF set on July 4! In a bad mood? Pro tip: listen to Bay Ledges' music for an immediate pick-me-up. Perfect for rolling the windows down on a road trip with friends, the indie-pop duo's tracks soundtrack our summer nights thanks to upbeat instrumentals, dreamy vocals, and lyrics that speak to the adventurer in all of us. 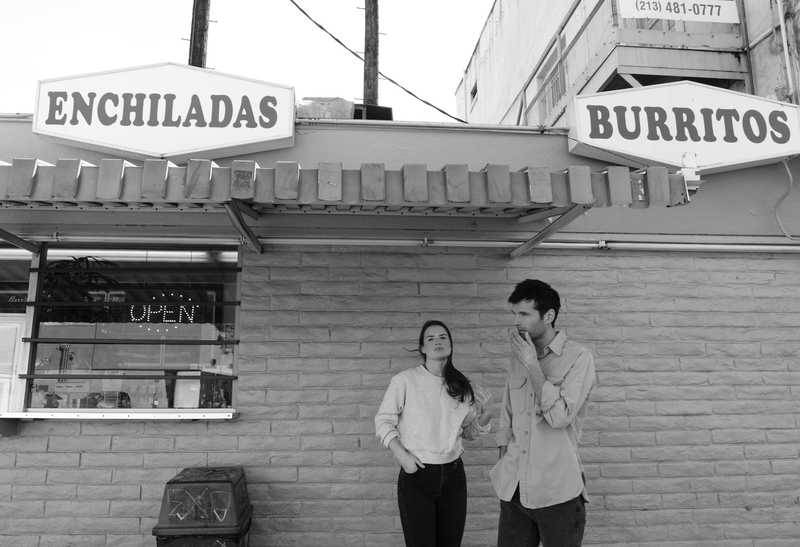 Made up of siblings Zach and Georgia Hurd, the Los Angeles-based two-piece are currently hitting the festival circuit hard, playing for the masses at KAABOO Del Mar, Quebec City Summer Festival, and Ottawa Bluesfest. Up next is Summerfest, where they'll be jamming out on the Fourth of July, alongside acts like Journey, Kesha, The Fray, Cheat Codes, and The Wombats. Before they take the stage tomorrow, we wanted to find out who the "I Remember" musicians are excited to see this year at Summerfest. Arcade Fire, J.Cole—this list does not disappoint. Check it out below, then make sure to tune into our Instagram tomorrow, where they'll be taking the reigns live from Milwaukee all day. See you there! We've been big fans of this band since their first album. It's been pretty amazing to watch them grow so big over the years. This most recent album feels like it would be really fun to hear live. It feels more dancey (and we love to dance :) than their previous albums. Their music has so much energy. I watched his documentary on HBO a few years ago and have been a fan ever since. He's got such positive energy and a style that feels fresh. Not to mention, he's got great songs you just want to hear again and again. Love the Forest Hills Drive album. Our other sister, Meddy, got Yoshimi Battles The Pink Robots when it came out and it was so different from anything any of us had been listening to up to that point. After listening through a second time it quickly became one of my favorite albums. I love Wayne Coyne's voice and stage presence. We've never seen them live but from what I've heard their shows are incredible. Georgia loves anything British. Also, Charli XCX's songs are catchy and big, I'm sure this'll be a great space to see her perform. His album Southeastern is so good, such great songwriting. I remember hearing him perform Elephant six years ago on some NYC radio show, it brought me to tears. It'll be cool to see him in a festival setting with a band behind him.